What a great picture! It has so much energy. 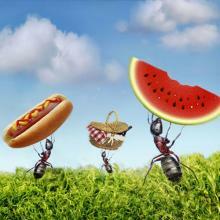 Please tell us a little of the backstory of this image. Sure, but first, let me say thank you. 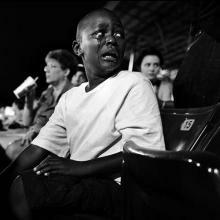 This site is very valuable for the photojournalism community, and it's an honor to be a part of it. 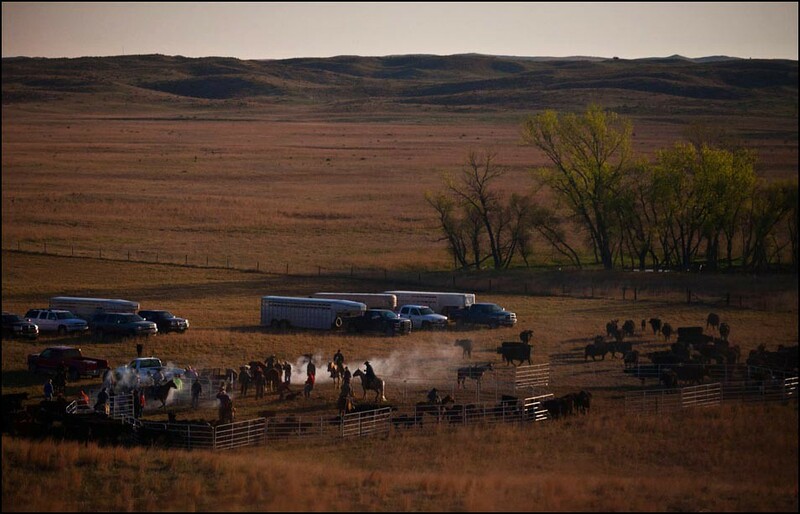 I've always wanted to make pictures at a cattle branding in the Sand Hills of Nebraska. 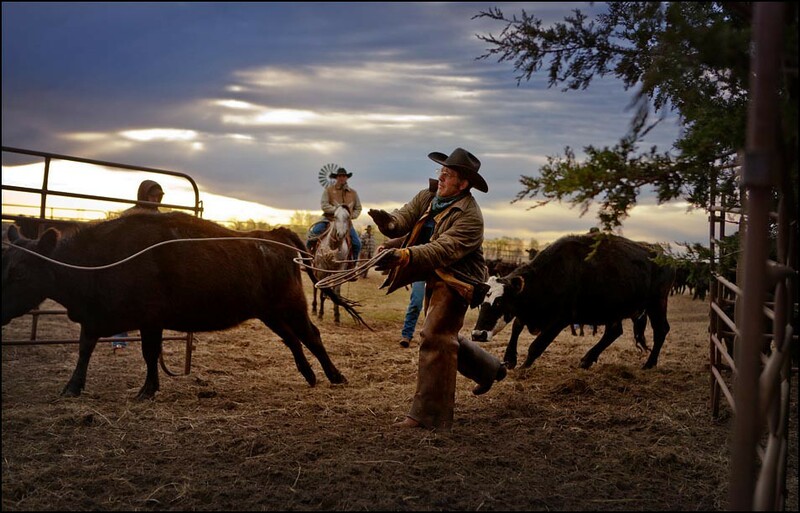 I'm a city girl, to say the least, but I have long held a fascination with the romance of the West, especially when as a photojournalism student I was exposed to the images of National Geographic greats Joel Sartore, William Albert Allard and Sam Abell. They were making pictures more or less in my backyard, in a part of the country that is often overlooked. I realized that I didn't have to travel far to make interesting photographs. Perhaps for the first time in my life, I realized how lucky I was to live in Nebraska. Making and maintaining contacts in western Nebraska can be tough. Unfortunately, I don’t make it out there as often as I’d like. I had the go-ahead from my Director of Photography, Jeff Bundy, to pursue the story, but I wasn't sure where to start. Matt Miller, a fellow photojournalist at the Omaha World-Herald, recommended that I put in a call to Elsie, the owner of the cafe in Wood Lake, a town of 63 people located in Cherry County, the heart of ranching land. To give you an idea of the kind of open space you experience out there, I’ll mention that Cherry County is larger than entire state of Connecticut but has a population of just over 6,000 people. Anyway, I had visited with Elsie years ago when I stopped in for a slice of apple pie, which, let me tell you, cannot be beat. The cafe is a sort of social hall for the community, and when I said I wanted to tag along on a branding, she gave me the phone number for Joe Mundorf, an area rancher. In this situation, it is especially helpful to have some history with the contacts, as is having the backing of a familiar and respected newspaper. Some of the ranchers told me that they are wary of journalists coming in from big cities. 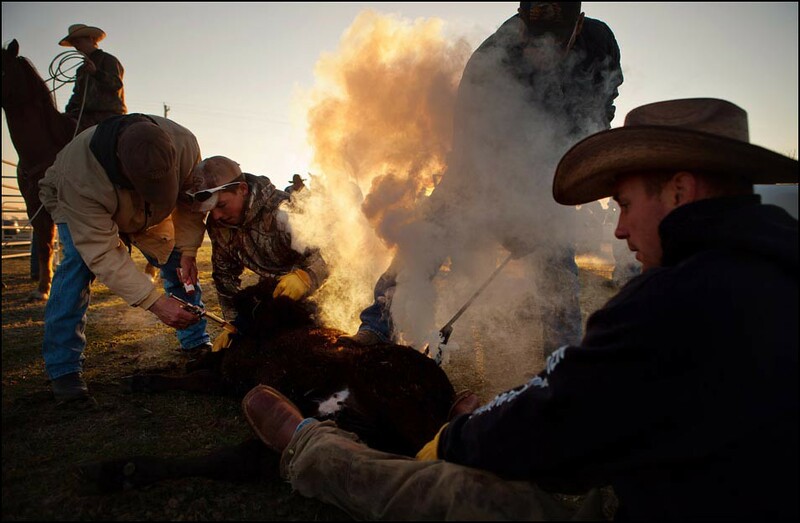 Branding is essential to the ranchers' livelihood and it is an important part of the culture, but some groups take issue with how the animals are treated in the process. The ranchers wanted to make sure that my intentions were purely photographic. It can be a huge challenge to go into a situation where your very presence makes people uneasy, but as always, I find that honesty gets me the furthest. 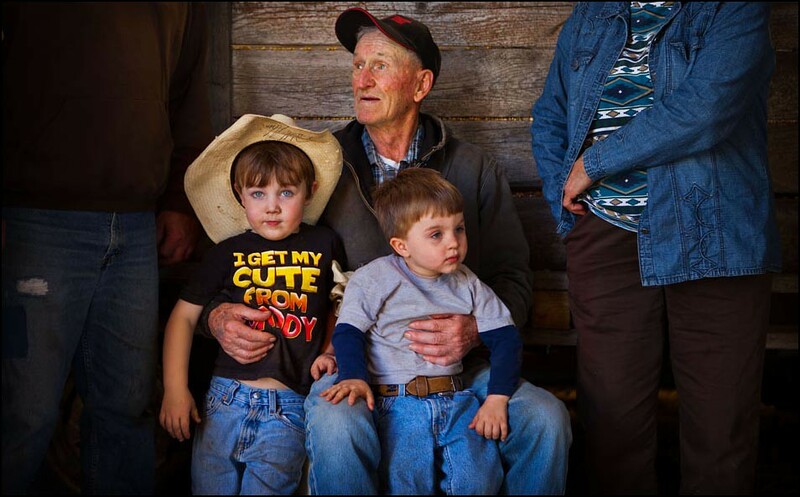 When I spoke with Joe on the phone, I told him that I admire the way of life on the ranch and that I was there not to judge but simply to document. I owe everything to Joe. With him as my point of contact and entry, the community was incredibly welcoming. Branding started very early in the morning, which was great, because it meant I got to start off the day shooting in gorgeous light, but it was also a challenge because that first hour was complete chaos. It was cold, the light was fleeting and there were neither a warm-up opportunity for pictures nor a chance to get to know the landowners, ropers and ranch hands before I began to photograph them. The ropers were separating the calves and mothers, so people were mixed right in with some rather distraught 1,300-pound Angus cows. One calf broke loose and ran straight for me. My calf wrestling skills are not top notch, and the little guy was off before I even knew what was happening. Another challenge was the light, which was constantly changing. When it would peek through the clouds, I had to make certain that I wasn't blowing the highlights, nor pushing the ASA too high. I also had to keep my shutter speed in mind. I don’t mind a little movement, but motion blur can be a delicate line to cross. Whenever I am struggling in my work, I take a moment to assess the situation and view the scene as a whole, but I try not to linger there long. I throw myself and everything I've got at making pictures. There's that expression about not being able to shoot your way out of a paper bag. I sure try. I find that I start to see the situation and predict the action better when I've got my camera to my face. When I stand back, I inevitably miss pictures, and as we all know, there is nothing worse than watching a frame pass you by. Like anything worth the effort, shooting branding is not easy. I have to work with what the day gives me. As a journalist, I accept the situation I'm in and the elements in front of me, and I try to not affect them. In fact, this is one of the things that I love most about this profession. The visual gifts we are given are so often better than anything we could have thought of or set up, but it takes a lot of faith and patience. Branding is visually loaded and very rewarding when the right elements come together, though there is no guarantee that they will! How did you feel when you quickly had to jump into shooting around large, heavy, unpredictable animals? 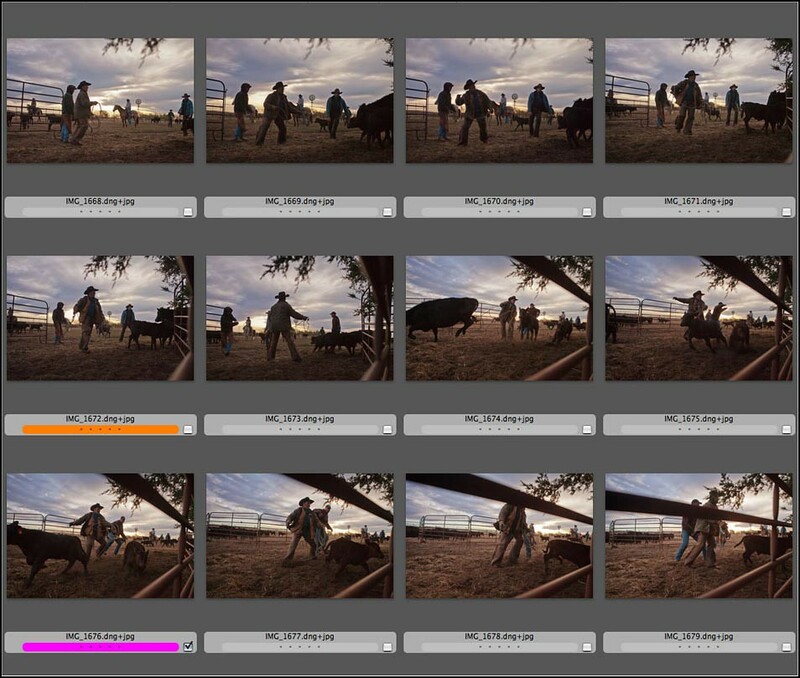 I have photographed around cattle before, so I had a decent handle on predicting their behavior. Still, a thousand-plus pound cow is something to respect. 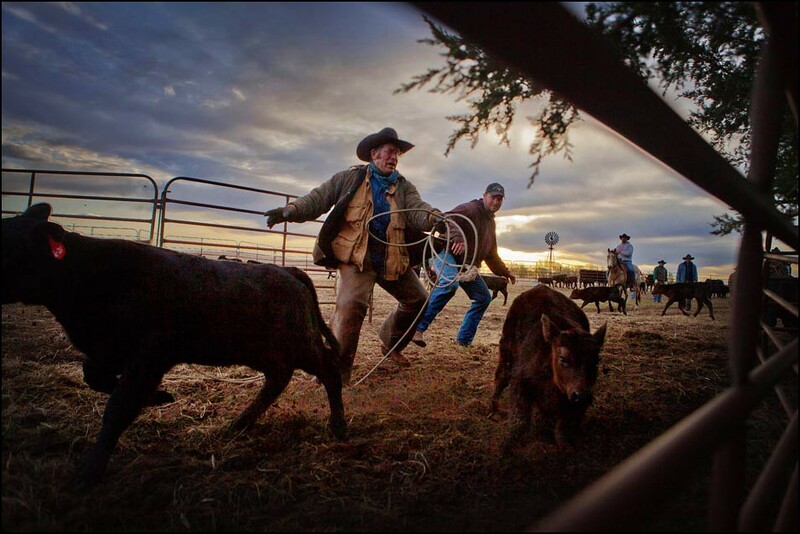 I observed how the ropers and wrestlers carried themselves and tried to incorporate that into where I wanted to be for pictures. Photographers put themselves into ridiculous situations all the time, but we've got to weigh the risks, especially when it can complicate things for others. Other than safety, my concern was that I would be distracted in taking pictures. Once I had a handle on how to behave, I turned my mind to the task at hand and concentrated on the pictures. Now, onto the moment. Can you tell us what happened leading up to this frame? The frame came from the start of the day when the ropers were rounding up and separating calves from their mothers, which was particularly disorderly. I had two goals: don't get in the way and don't get run over. I saw that Paul Kenner, one of the more experienced ropers, was edging closer to the gate opening, through which many calves were making their break for freedom. Cattle are very skittish, and I knew that I couldn't stand inside the gate or my presence would make the separation process even more difficult. So I got down low and tried to make myself small as I shot through the fence. Initially, I shot on the longer end of my 24-70mm lens, trying to fill the frame and work the layers of cowboys going back toward the horizon, but as Kenner and the cows drew nearer, I noticed that the fence did an excellent job of guiding my eye into the frame. The sun began to break through the clouds behind Kenner, so it was a tough exposure in a technical sense. I think you can see how the file breaks down a bit in the shadows. The calf in the bottom right of the frame was the last to be separated, so I moved on to make another picture before the good light died. The screen shot you see is about the extent of the frames I took of the scene. I arrived to the scene only fifteen minutes earlier. I had hardly been working when the image landed in my lap. It's funny how that works. I was so anxious about the shoot that it consumed my thoughts. I had trouble sleeping the night before. I had gone through the possibilities in my mind, thought about how to approach the scene and what images I might get. I worried that if I did get to sleep, then I would miss my alarm completely. Of course, those kinds of 2 a.m. thoughts are always pointless. I am able to make pictures or I’m not. I do as much legwork as I can up until the moment of the assignment, but the most important part is showing up and staying sharp. 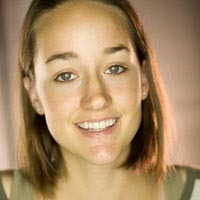 In any documentary situation, we must earn and keep the trust of the people we’re photographing. This comes through honesty and empathy, but I’ve learned that people really feed off of how I act. If I seem nervous, I’ll put others ill-at-ease, but enthusiasm is infectious. If I greet someone with a hearty handshake, I’m letting them know that I’m excited to meet them, that they’re important to me. I don’t try to put on airs or be who I think they’d want me to be. I simply am who I am. I open myself to others with a smile and through my body language. I think we sometimes underestimate the value of appearing welcoming to others through our posture. Study photographs every day. Good images reveal more than technique and composition, and in an age of media overload, they can still have the loudest voice. Get yourself into great visual situations. Photographer and Nebraska native Joel Sartore always says that he wants to get himself into situations where even his grandmother can make a picture. Photograph what interests you and what is accessible to you. Seek out and say yes to new experiences. If a rancher in the Sand Hills of Nebraska asks you to wrestle a calf, you wrestle that calf! Read anything that keeps you inspired. Ride the wave. Appreciate the good and accept that you will face challenges in your work.